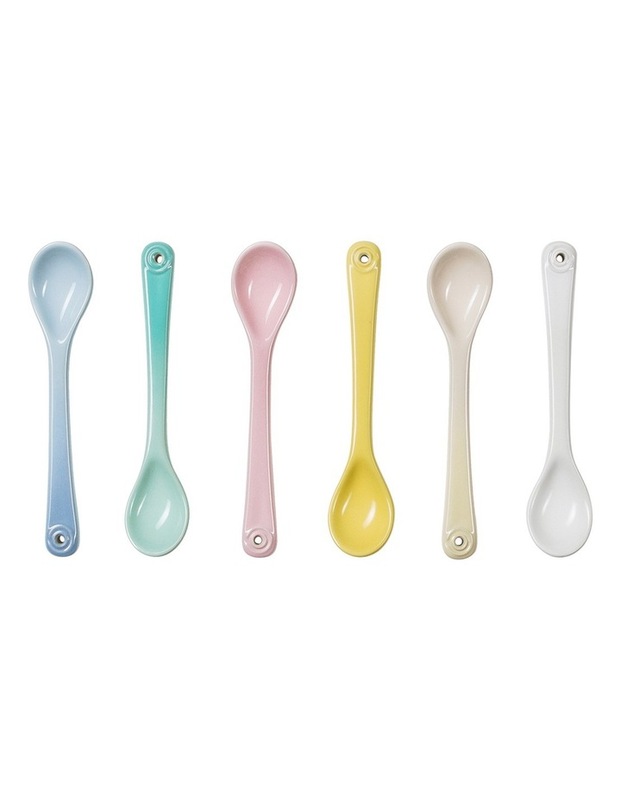 The stunning limited edition set of 6 spoons compliemnts the Le Creuset Sorbet range and the small size are ideal for the Le Creuset mini casserole, mini ramkein and egg cups. This limited edition comes in a set of 6 colours: coastal blue, cool mint, chiffon pink, mimosa, dune and cotton. 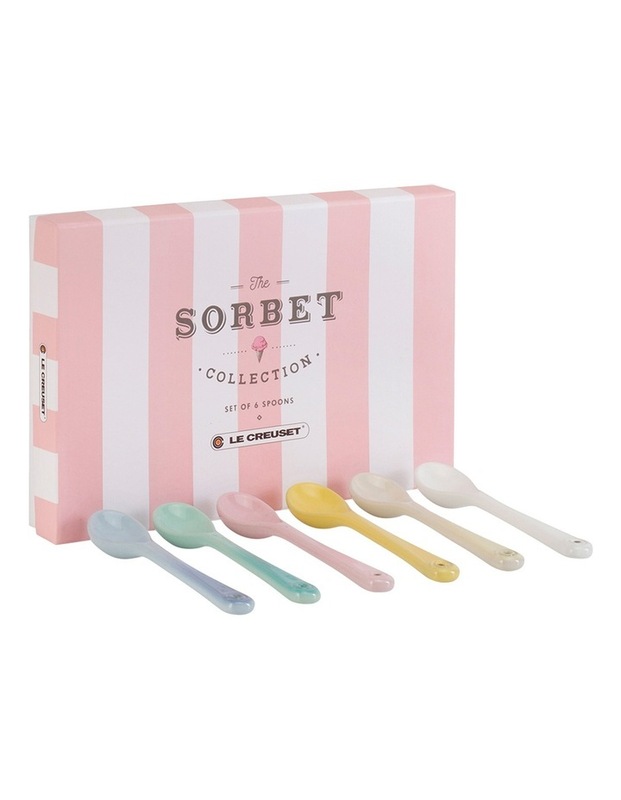 Like all items in this collection, it comes with a limited edition sorbet themed packaging. The durable enamelled surface resists staining, chipping and cracking, and it is easy to clean. Meaures 14cm.